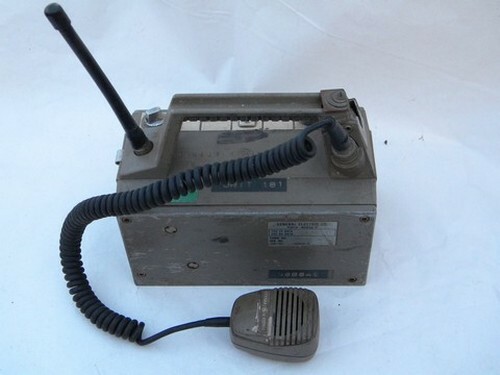 Lot of two vintage portable two-way industrial radios for repair or parts. 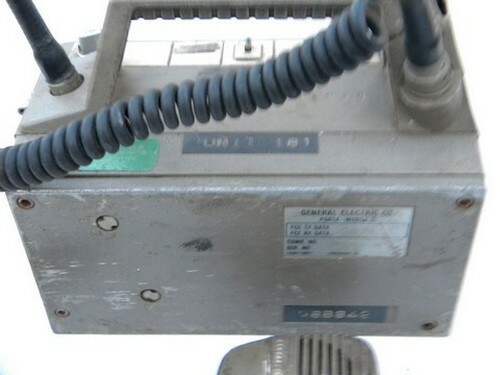 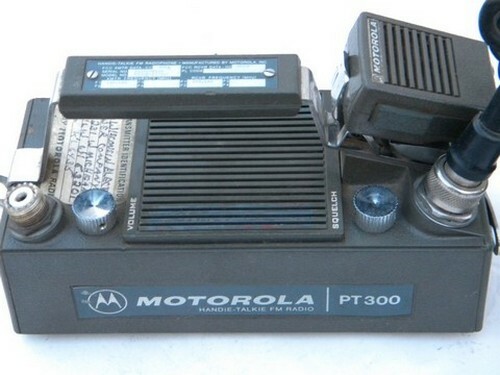 There is the head for a "Motorola PT-300 - Handie-Talkie Radio", model "P33DEN1100BM and marked for an operating frequency of 158.145 MHz". 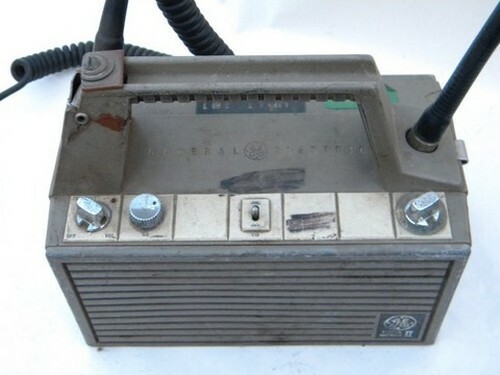 It has no battery case or antenna. 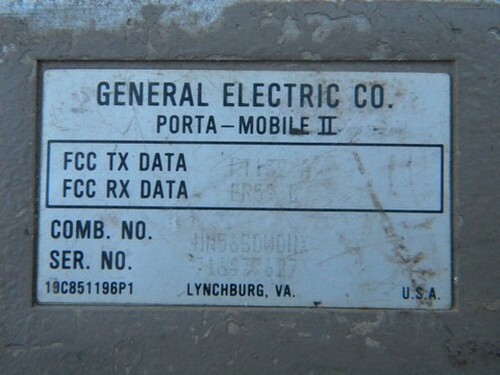 There is also the head of a General Electric "Porta-Mobile II". 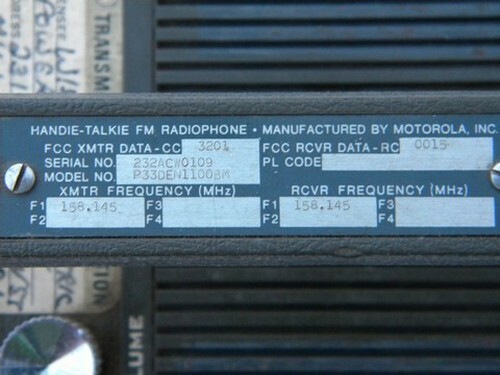 We can&apos;t make out the radio frequency. 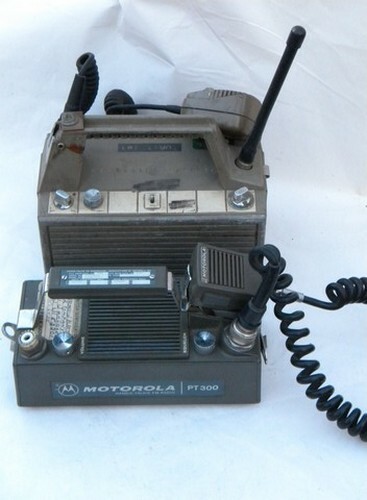 It does have the antenna, but the case is cracked. 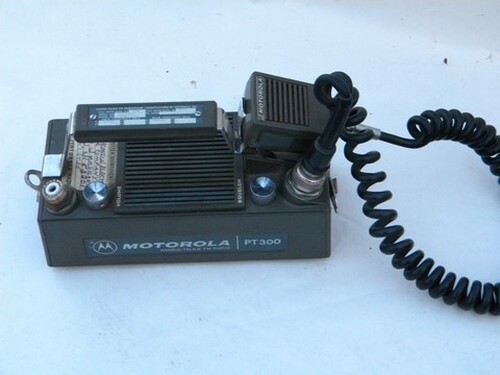 These radios are from the estate of an industrial communications engineer and shortwave / ham radio enthusiast. 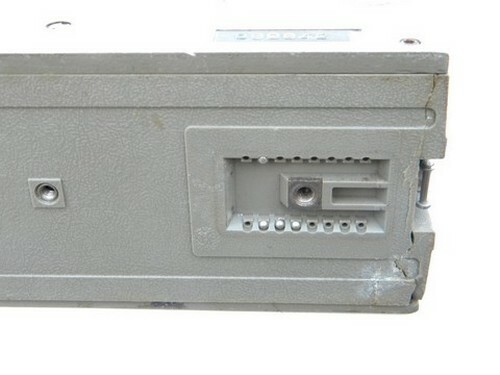 They are not complete and we&apos;re selling them for parts.